Remember your favorite soft toy? 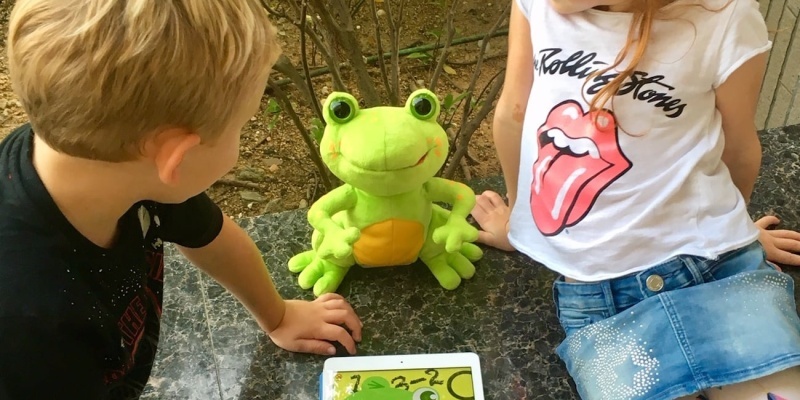 FroggySMART is an interactive amphibian that is here to befriend the next generation, keep them entertained and even teach them math. Is technology bad for kids? No, not necessarily. Many gadgets actually encourage learning or outdoor activities. How do you get kids off Fortnite? Give them a real-world outlet, such as sports or art. The earlier they start, the more likely they are to get hooked. 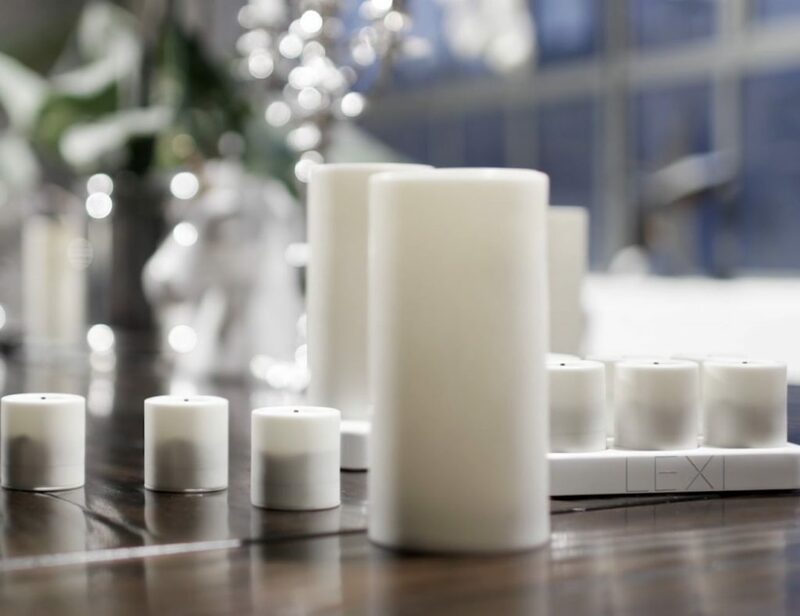 What is the best offline toy for kids? 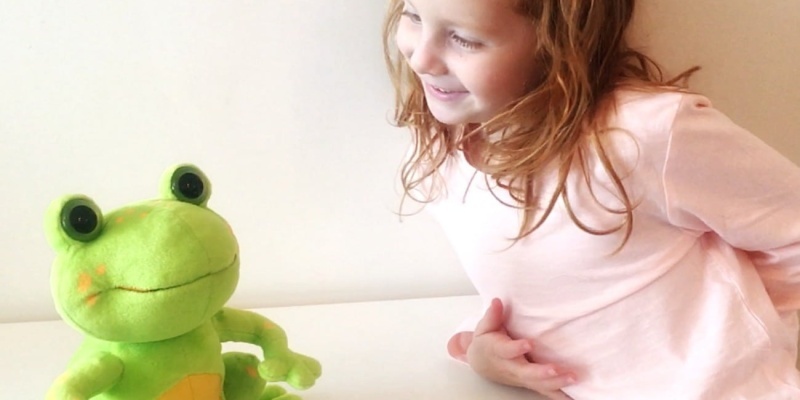 FroggySMART is a new interactive soft toy that doubles as a fun playmate for younger kids. You never forget your favorite soft toy. The years may pass, but that raggedy old bear is still your best friend. It’s a remarkable bond, given how little our toys ever said. Most of them never even acknowledged our presence, yet we loved them all the same. For the next generation, the affection won’t be a one-way street. 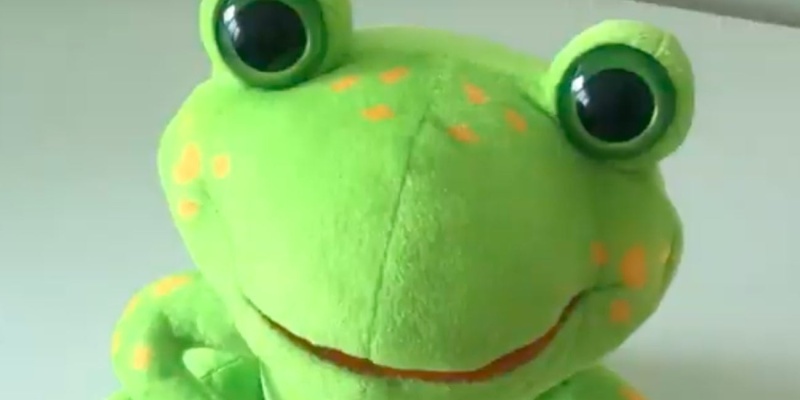 FroggySMART looks like any other amphibian soft toy, but this happy green hopper is a real friend to young kids. What is an interactive soft toy? Many soft toys today have some kind of built-in audio feature. You simply squeeze a paw to hear a garbled catchphrase or perhaps a cherished recording of a faraway parent. There’s nothing wrong with this. But it doesn’t really give your kid someone to play with when you are cooking dinner or on the phone. It’s in these moments that FroggySMART excels. Powered by a companion smartphone app, Froggy is one clever pond-dweller. This soft toy actively befriends your little ones, and can hold simple conversations. 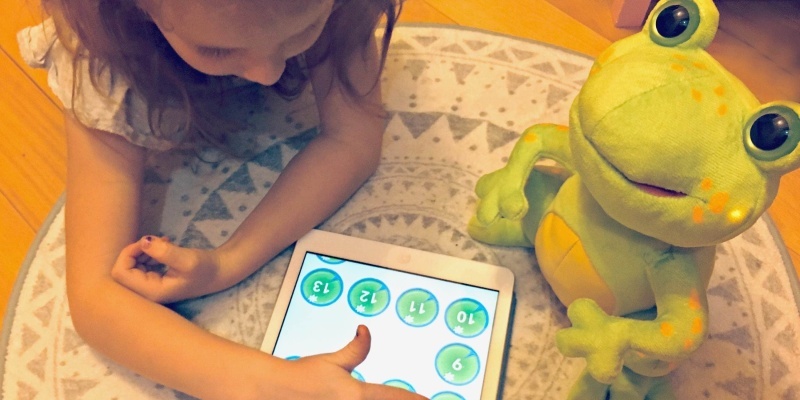 Froggy can also answer questions, and even teach your kids math. To make the magic happen, the makers of FroggySMART have embedded some tech within their plush green hopper. 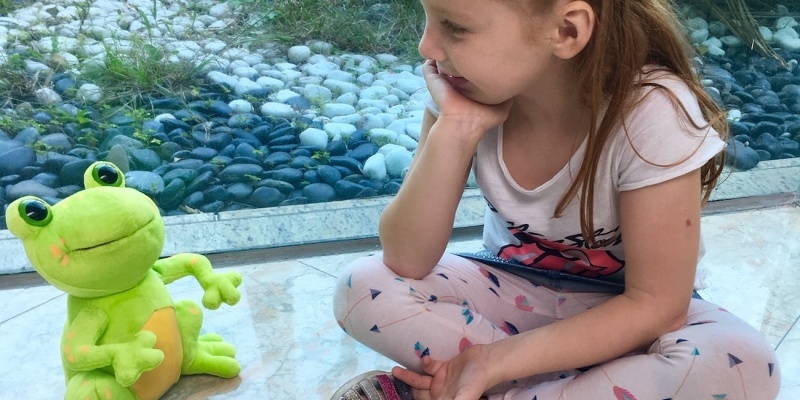 Froggy’s words are “spoken” by a small Bluetooth speaker hidden within the toy. Small motors around Froggy’s jawline make her mouth move in sync with every reply. This happy little amphibian even has light-up cheeks that go all rosy. However, by far the most impressive technology here is the companion app. This is Froggy’s remote brain, allowing the soft toy to interact with your child. The app has three modes to pick from. Friend mode brings out the conversationalist in your child. 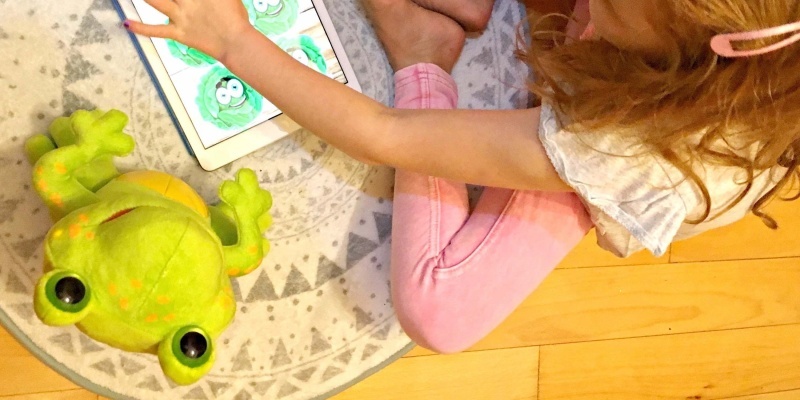 Froggy can answer questions and hold a simple conversation, keeping your child engaged with something other than screen time. Math mode turns Froggy into a teacher. Through fun activities, the toy teaches your child how to do simple arithmetic. 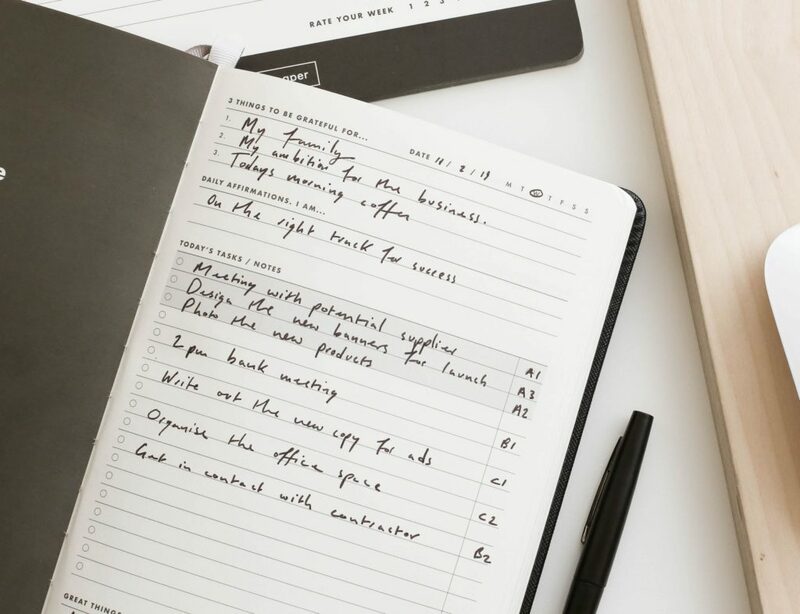 These activities were actually created by top education experts. You can also use Froggy as a simple Bluetooth speaker. This means that your kids can enjoy an audiobook at bedtime while cuddling up to their favorite soft toy. 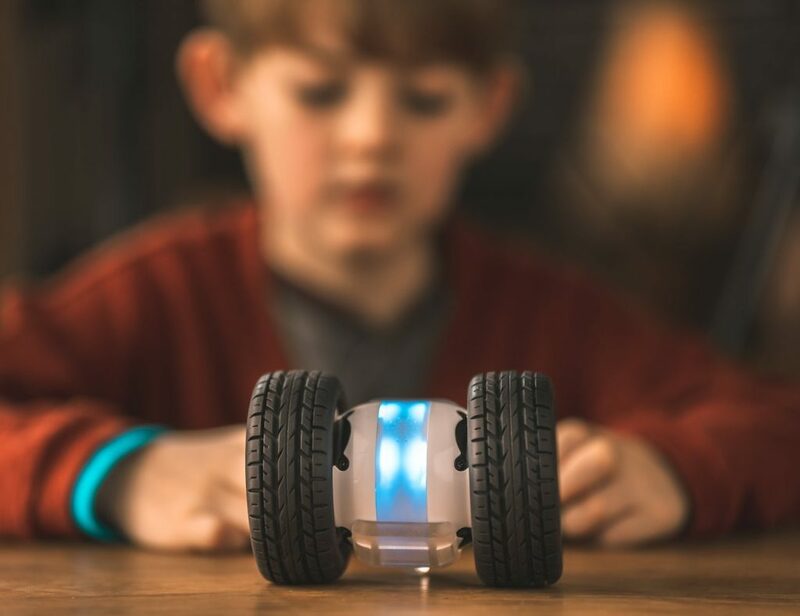 With FroggySMART, kids can actually get to know their favorite toy for the first time ever. We love this social side, and Froggy also makes a great teacher. Of course, playing make-believe is good for young minds. We hope Froggy won’t remove the imaginative side of playtime.